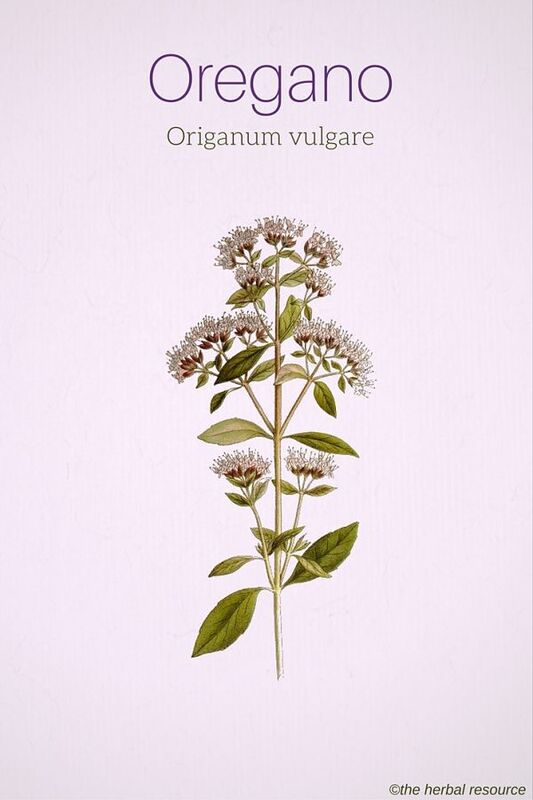 Botanical Name of Oregano: Origanum vulgare. It is closely related to Origanum majorana also known as sweet marjoram. Other Common Names: Common and garden oregano. Habitat: Oregano or pot marjoram is an indigenous herb of the Mediterranean regions of Southern Europe and of Central and Southern Asia. However, it is possible to grow it in any temperate climate and in fact is commonly found herb in the western world. Description: Origanum vulgare, of the Lamiaceae family (mint family), is grayish green perennial herb with a height ranging from one to three feet or 30 to 60. It has a hairy erect branched stem with green opposite leaves also covered with fine hair. The flowers, arranged on a spike, are purple in color. The plant has a strong odor similar to thyme and sage. Plant Parts Used: The leaves and the volatile oil of oregano are both used in herbal medicine. Oregano has strong antiseptic properties and it is highly potent as an antibiotic as well. As such, it could be very effective in treating conditions caused by a microbial action, such as gastric problems, nausea and fever. It could also be beneficial for treatment of problems pertaining to the digestive, respiratory and immune system. This herb had been used to combat problems caused by bacteria, such as throat infections, pneumonia, and diseases of the trachea. Moreover, oregano is thought to be highly effective in clearing up campylobacter and staphylococcus infections. Also, it has been used to eradicate the common ameba giardia lamblia, which is responsible for several digestive disorders such as flatulence, vomiting and diarrhea. 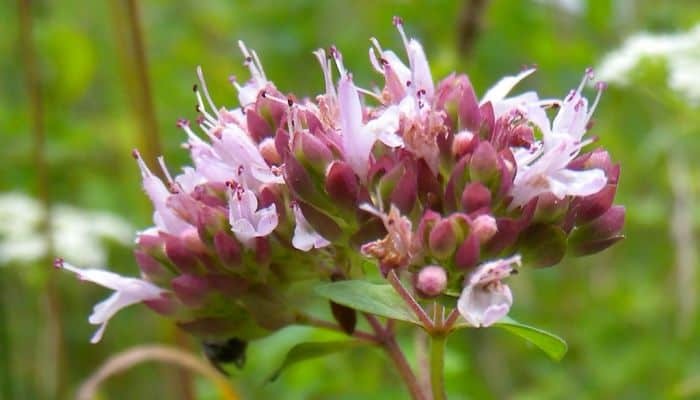 The oil has been used traditionally in treating toothache, earache and relieving the itch of insect bites. It contains a number of vital minerals such as manganese, copper, iron, zinc, potassium, and calcium. It has also served in folk medicine as a treatment for yeast, fungus and parasitic infections, such as Candida and athlete’s foot. 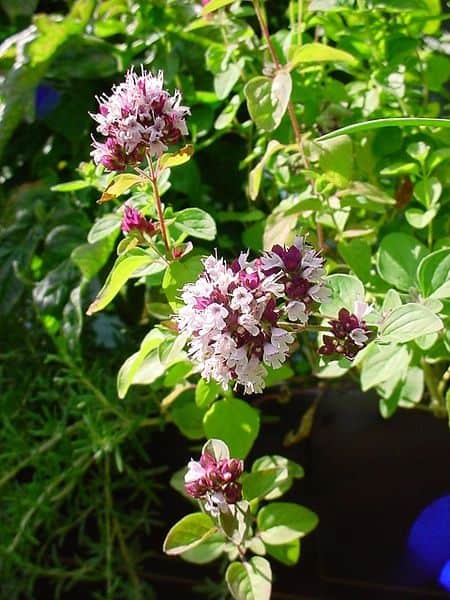 Both oregano and marjoram have been used in traditional herbal medicine to treat colds, coughs, gastrointestinal problems and a variety of other conditions, and several plants in the genus reportedly have antibacterial, antifungal and antimicrobial properties due to the phenol carvacrol. It is known to be rich in flavonoids. The latter are compounds found in fruits and vegetables and contain antioxidant properties. Perhaps, it is this attribute that makes oregano beneficial in maintaining a strong immune system and in fighting a variety of diseases and infections. It should be noted that for maximum benefit, one needs to use the oily extract of the herb. The herb in dried form is rich in aroma and can be used in cooking and in salads. But dried herb has few health benefits apart from its mineral content. The essential oils of both Oreganum majorana and Origanum vulgare are used commercially to scent soaps, lotions, and perfumes. The volatile oil should always be derived from origanum vulgare with at least 70% concentration of carvacrol. The manufacturer’s instructions should always be followed when oregano oil is used as an herbal medicine. Highly concentrated oils need to be diluted before application, usually one teaspoon of olive or coconut oil per one drop of oregano volatile oil. Oregano is considered to be a safe herb. Pregnant women should not take the oil because it can interfere with the body’s ability to absorb iron. People with known allergic reaction to mint, sage, basil, and thyme which are all plants that belong to the mint family should not use the herb in any form.